I just stumbled across this blog, Pretty Little World from a link on another blog, kinda love when that happens. 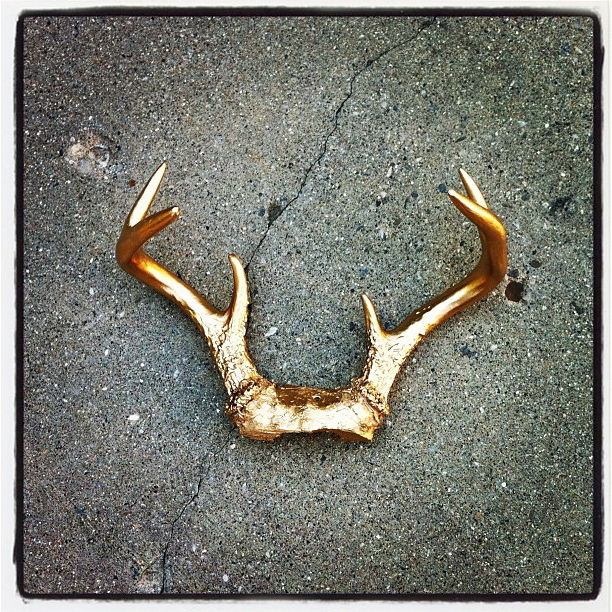 The whole thing is wonderful but this post was particularly good: DIY gold antlers. That sound you heard was me running out the door to find antlers, lots of them. Here’s the link to whole DIY post. 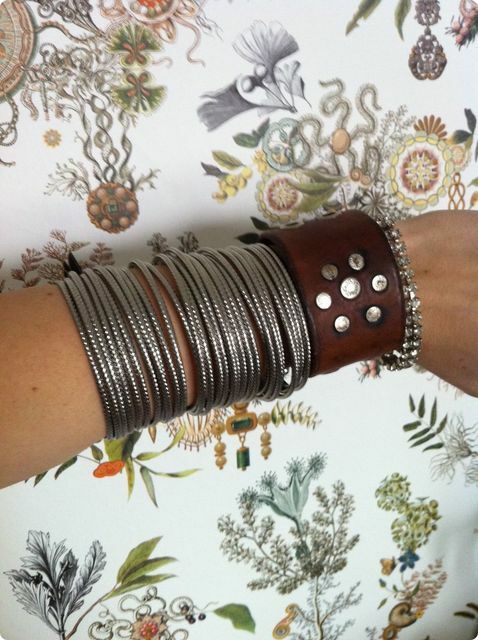 This is the post that brought me to Pretty Little World in the first place featuring this incredible leather cuff from ARCANAminor. There seems to be some amazing vintage going on in Michigan.